Your neighborhood bar or liquor store causing problems? Prove it! 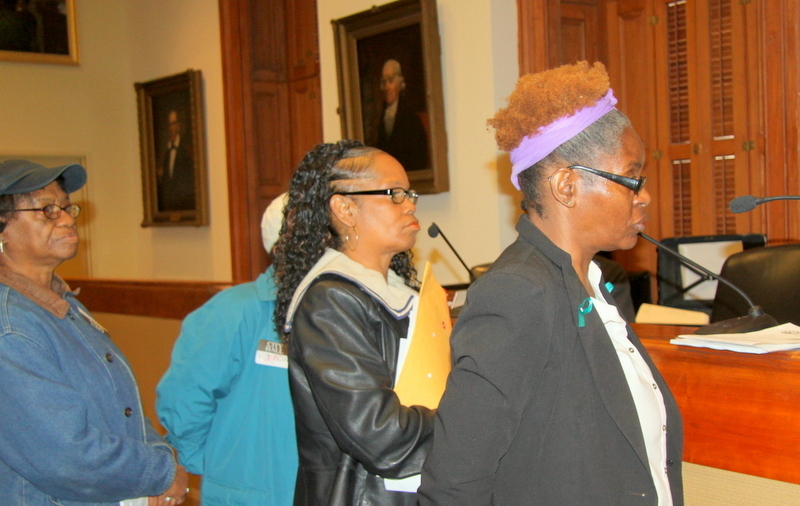 A group of women from Douglass Homes came to the Liquor Board last Thursday armed with petitions and signatures and stories to tell about a convenience store on East Fayette Street they call a nuisance and a danger to the community. “We have so many schools nearby – Dunbar High School, City Springs Elementary School, you have two National Academy schools – there are so many children and they all have to go by there,” said Diane Corbett, a former vice president of the Douglass Homes Tenant Council. But these comments were made in the hallway to a reporter. None of the women got to testify about their complaints (or hear how the attorney for licensee Kuldeep Singh would rebut them, for that matter). Why? Because the Liquor Board granted the licensee’s motion to dismiss the case at the outset. Lawyer Melvin J. Kodenski had objected to the documents the women presented as part of their protest of the renewal of the establishment’s liquor license, saying it was unclear whether each signer knew what they were signing. “There is no caption on every page,” Kodenski said. At the annual Liquor Board ritual known as “Protest of Renewals,” it was one of several instances where communities complaining about alleged problem bars and stores, but lacking an attorney to speak for them, left in defeat. 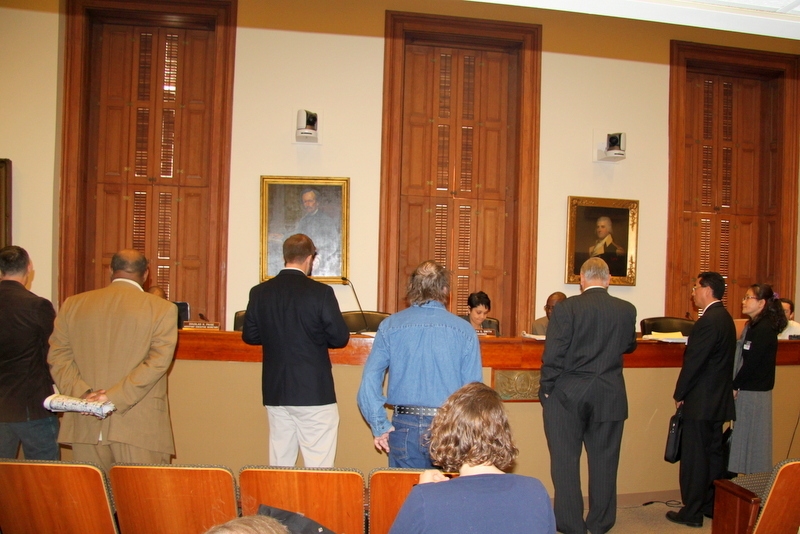 The licensees’ lawyers – and the commissioners themselves – cross-examined the residents aggressively, demanding written documentation of specific instances of drug-dealing, names of dealers, dates when public urination occurred and proof that the problems didn’t flow from other sources in troubled city neighborhoods. There were some sanctions. Of the five cases on the docket, two resulted in licenses suspended (2300 Orem Avenue got six months, 3500 O’Donnell Street got 30 days), but the other establishments won their renewals. As for the Douglass Homes’ women’s protest, Interim Liquor Board Chairwoman Elizabeth C. Smith dismissed their protest, pointing out not only problems with the way their petition was written, but the fact that Lalz says it only began selling liquor last month. Afterwards, Benton-Jones and Corbett said they believe the establishment commenced liquor sales earlier than last month and that serious loitering, trash, drug activity and other problems date back more than a year. It was not the first time the board had heard neighborhood concerns about Lalz. Residents had testified in opposition before the board a year earlier, saying the neighborhood was already saturated by bars and liquor stores, but the commissioners approved a liquor license to be transferred to the East Baltimore convenience store. 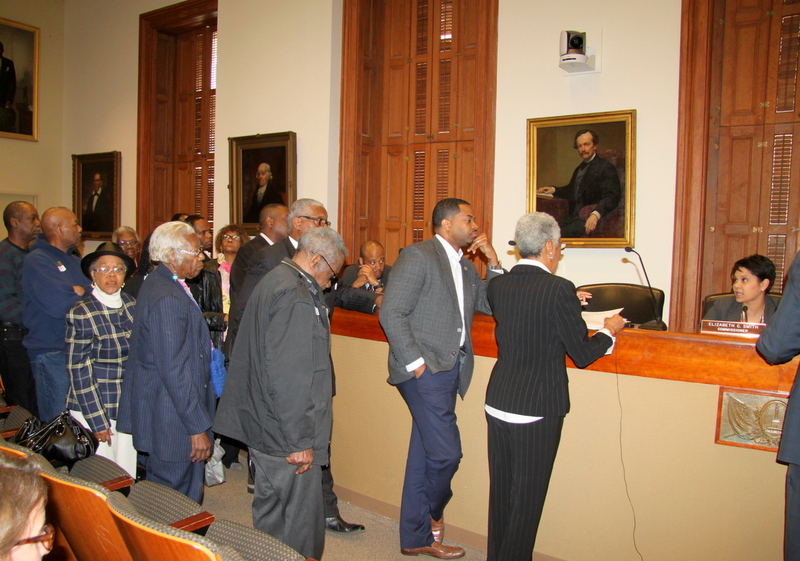 It was a common refrain outside of Room 215 at City Hall, where several other petitioners, similarly unsuccessful in their effort to stop renewals, vowed to return. “We’ll be back next year with better documentation and some knowledge of the legalese,” said Daniel A. Andersen, of the Washington Village community and the Barre Circle Community Association. The process is spelled out in the law. Under the provisions of Article 2-B 10-301(a), communities wishing to protest a renewal need to come up with signatures from 10 or more residents from the nearby area. But Thursday’s proceedings made clear that Baltimore citizens had also better show up with more than anecdotal accounts of their woes. Names and photographs of drug dealers, proof of complaints to 911 and 311, eyewitness accounts that put the activity with in five to 10 feet of the establishment, even time and date of alleged public urination were demanded. Also handy: knowledge of Article 2-B and the rules of evidence. Plus, be prepared for a full-court press by seasoned professionals, both those who sit on the board and those who make their living defending the licensees. Representing Miller’s Liquors, 849 Washington Boulevard, attorney Kodenski listened to the testimony by Andersen, a federal government research analyst who has lived near the establishment since 2003. “On the verge” of turning around, communities such as Pigtown, Washington Village and Barre Circle are hurt by places like Miller’s, Andersen said. 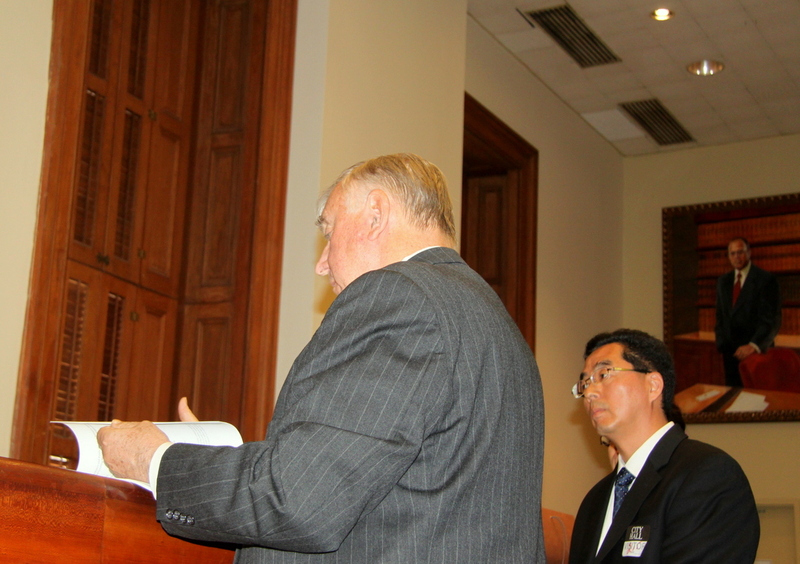 On behalf of the licensee, lawyer Kodenski started by questioning Andersen. How often had he actually attended community association meetings? And had he ever spoken with the store owner. “Was the urination and defecation taking place every day?” Kodenski asked, raising an eyebrow. “Every day I’m by there. Our dearest friends live across from there,” Andersen replied. “Yes, the alley by the way, that has an entrance to this establishment,” Andersen replied. “You’re very gratuitous! Just answer my questions!” Kodenski rebuked him. From the podium, Chairwoman Smith also asked sharp questions about, among other matters, the public urination claims, directing them at Murray. “Did you personally witness the urination? Could you give me a month, day and time that you recall this one instance or was it more?” she said. “It’s not something that happens every day, but it’s quite a lot,” he answered. “Did you see them come in and out of this establishment?. . . The closest liquor store to that location, how many blocks away would it be?” she asked. Murray noted Bob’s Bar, The Tilted Pig and, proceeding to list the packaged goods stores and taverns nearby, he warmed to the topic, saying, “It’s saturated!” Big mistake. “So it’s fair to say that this individual could have gotten that alcoholic beverage from this place or they could not have?” Smith observed. Commissioner Jones asked Murray for written proof they had made these complaints, but they didn’t have any. “I was told [COP’s] Richard Parker had sent a letter in March,” Murray said. “Everything was in order, the paperwork was good, everything was clean inside,” she said. His store is not unsafe, MacDonald said, objecting to the characterization. “We have a five-year-old and a seven-year-old. I bring them to the store,” he said. MacDonald said he had only one encounter with Citizens of Pigtown – “They didn’t approach me, I went to them” – and that “nobody mentioned” issues or concerns with the bar. “I wish they would have,” he added. In the end, Chairwoman Smith said there was not enough documentation. The residents’ petition was denied and the licensee was ordered to meet with the community. Minor nuisance complaints are taking precedence over dangerous crimes at liquor establishments, critics say, requesting a hearing. Commissioners say their hands are tied as a “terrified” community blames a lack of coordination between police and the board.